London has everything a city needs to become the world's wearable tech hub. That's according to Saverio Romeo, principal analyst at Beecham Research, who outlined exactly why London has so much potential at the 2015 edition of the Digital Shoreditch festival. Read this: Is Britain too cool for wearable tech? "I believe that London has the perfect elements to really be the wearable tech and smart clothing hub globally," said Romeo at a panel titled How to wear wearables in Shoreditch Town Hall. "There is almost everything you need," he explained. "There is money, there is a tradition in fashion, there is an extensive tradition in technology. There are some of the key technology academic centres in this country - take Oxford, Cambridge and London, then expand it to Bristol, for example. "There is a culture of art, a culture of creativity. All these things put together are all elements which will drive the wearable tech market. I don't think there are comparable cities at the moment - it's an extremely powerful city. I see London becoming the centre of the story." The analyst, who also holds research posts in entrepreneurship and innovation at the University of Oxford and Birkbeck College, also encouraged British startups, designers and policy makers to stop making tired comparisons to Silicon Valley. "It will be extremely competitive with Silicon Valley," said Romeo. "We are obsessed with it but at the same time, Silicon Valley does not have stuff that we have and we don't have stuff that Silicon Valley has. 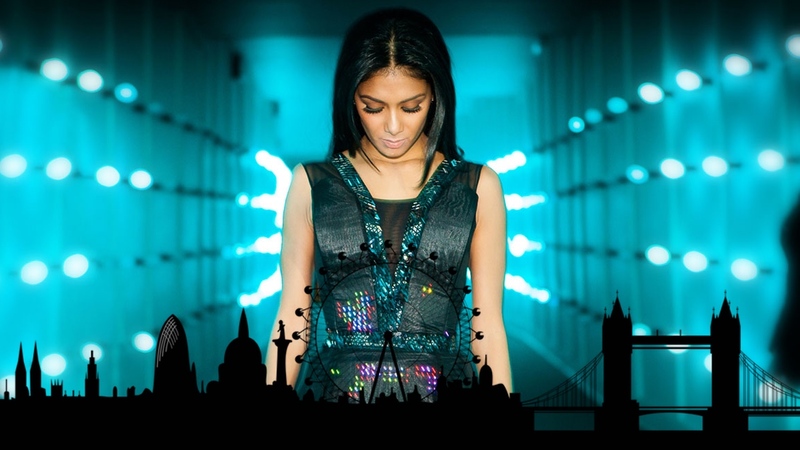 London is the city for wearable tech from a multidisciplinary point of view." After the talk, the analyst sent this addition to Wareable on Twitter: "I would add that London should also drive networks with other European cities creating an European space for wearable tech." Other speakers at Digital Shoreditch included Duncan Ray, the Shoreditch and 'Tech City' lead at the London Borough of Hackney who whooped and clapped at Saverio Romeo's comments and compared the event to SXSW in Austin, Texas. Philip Steiger, product design engineer at Kovert Designs, was also on stage to talk about the connected jewellery range Altruis which could soon be powering wearables from well known brands. Asked by Showmedia's Peter Howarth if Kovert is looking to provide the platform and hardware for jewellery giants such as Tiffany and Bulgari, Steiger replied: "Yes, we would definitely be interested. We are working on some collaborations, I can't say much but we are announcing them very soon." There are lots of exciting companies working in wearable tech, smart clothing and smartwatch apps in Shoreditch including Kovert Designs, CuteCircuit, Bossa Studios. Even the Wareable offices are an internet-connected stone's throw away from the action. Other exciting British startups include Open Bionics in Bristol and Arc Wearables in London. As for Londoners wearing tech, we recently spoke to Matthew Drinkwater, LCF's Head of Fashion Innovation Technology who said that a lot of wearables are "too corporate" for London. "What would work better in London is a much more aspirational product. London has always been perceived as a very creative city, way above commerciality. What's going to be really important is personalisation in these products."